If You Abide; “Freely” It Shall Be Done Unto You. Scripture has a way of complementing each other, it is impossible to take one scripture and focus on it without having regard to everything else God has written about that same topic. Unfortunately, this is what many of us do when it comes to receiving things from God. Romans 8:32: “He that spared not his own Son, but delivered him up for us all, how shall he not with him also freely give us all things? 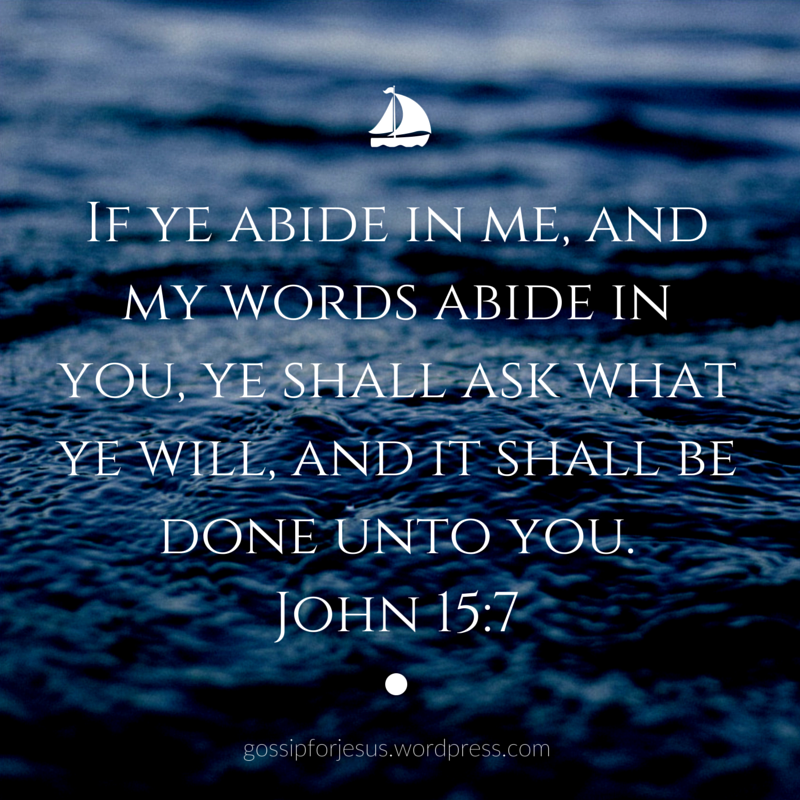 and focus on the word “freely” expecting God to bless us without any effort on our part, forgetting that John 15: 7 says: If ye abide in me, and my words abide in you, ye shall ask what ye will, and it shall be done unto you. These two verses go hand in hand. Romans 8:32 illustrates that there is nothing too big that God cannot give to us freely, but “freely” there means “effortlessly” and “without stress” and not “freely” as in “unpaid for”. If God could give His only begotten son, know that it must have taken great effort; and for Him, nothing that compares to that. Therefore whatever it is you ask of him, surely He will effortlessly provide because if He could give His son, whatever you request cannot be as great as that. The only condition is that His words must abide in us and we must abide in Him, this is the part we have to play, we have to abide in God’s word. To Abide is to “Dwell” it is more than visiting from time to time, to abide means to continuously remain in His presence. Your home is where you abide because you have been there a long time and you remain there, when you go to a friends house for a short visit, that does not mean you abide in your friends house because you will leave after a while. That is the same thing with this verse. We must remain continuously with God if we want Him to give us whatever we ask freely. If we do not abide then we confine His power only to the times that we seek Him, (for many this is usually on Sunday) but if we seek Him always, then we abide in Him and His word abides in us. As we meditate on these verses today, let’s remember that God is freely accessible to those who abide in Him so let’s make an effort to abide in Him so that all that we ask of God, He will freely give unto us!